Image courtesy of Arlo Skye. 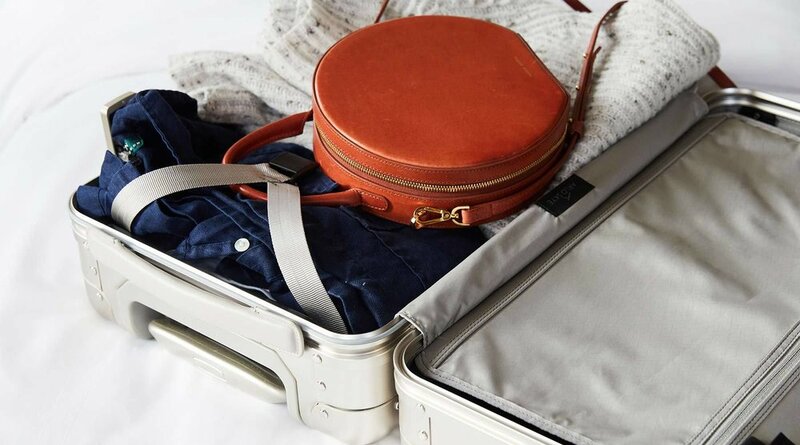 It took a broken zipper and a shattered wine glass to convince me that my soft-shell suitcase was no longer holding up, but when the inevitable eventually did happen, I was ready to make the switch. Hard-shell suitcases, for those who still envision fifty-pound mammoths being hauled through the terminal, have come a long way. Thinner materials like aluminum and polycarbonate have been designed to be lightweight but durable, eliminating the bulk of old-school models. Plus, many of today’s hard-shells feature additional perks designed for the modern traveler who demands efficiency. Arlo Skye ticks off all those boxes in its luggage: sleek exterior design, four rotating wheels that allow for easy navigation, and a portable charger that slots into your suitcase or can be taken on the go. In place of an exterior zipper are two TSA-compliant combination locks that offer easier, safer protection. Both the carry-on and check-in sizes come in black, rose gold, champagne, or silver polycarbonate, if you’re keen on having your luggage match your iPhone, while the carry-on also comes in aluminum. If you’re used to stuffing your suitcases to the brim, be aware that plastic and metal cases don’t budge. The flip side, though, is that your luggage is guaranteed to fit the dimension restrictions—no more showing up at the ticketing counter, only to find that your bulging carry-on is too big to bring onboard. Most important, of course, is the superior protection that a hard-shell case provides. Invest in an Arlo Skye and never worry about having your belongings crushed again. When you’re traveling with fragile electronics or bottles of wine and liquor, a suitcase that can withstand all the abuse of a flight will more than pay for its cost.